The Nest Thermostat found its way into our collection a couple of years ago. It made perfect sense at the time. The Internet of Things was quickly becoming a thing, and devices like the Nest were popping up in a variety of shapes and forms. From a design standpoint, the Nest solves a number of relatively basic problems. How do I control the temperature of my house while I’m away? How can I be better at not wasting energy? How can I offload yet another thing to my army of robots who run my life? Ok, well that last one is a little silly, but the Nest actually accomplishes this task/desire, and it does it quite well. From a collecting standpoint, acquiring the Nest itself doesn’t really tell the entire story. It’s a small mostly metal and plastic object. By itself it’s quite lovely, built solid and with smooth beveled edges. It invites you to turn it, the same way those round thermostats of the 1950’s do (like this one). But, even when connected to power, and installed in a home, there is more to the “ecosystem” of the Nest, which is where I believe the true genius of its design lives. To dig a little deeper and attempt to tell the broader story of the Nest, our curatorial team worked to acquire a number of additional drawings and sketches. Here’s a few of them. 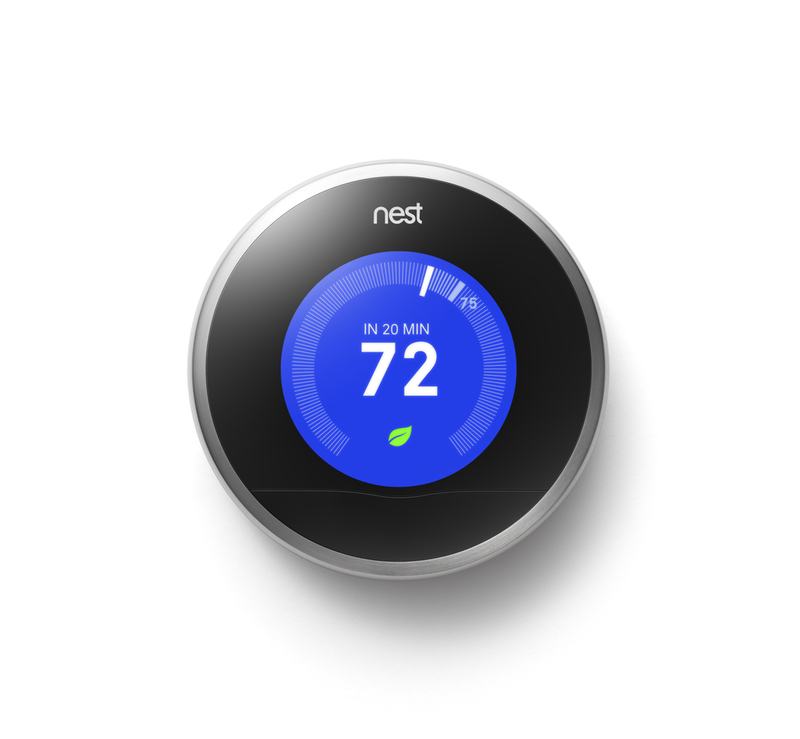 The Nest is a connected device. It includes the hardware itself, but also an app for your smartphone, and website in the cloud. It’s systems are designed with multiple users in mind, an entire family in fact, and it’s meant to learn your behaviors over time. No longer is the household thermostat just a button to push, meant to make you cooler or warmer. It’s now an integrated part of the way you think about the pulse of your home and perhaps the impact you have on the world you live in. It prompts you to wonder about these things, and might beg the question of who is smarter, you or the Nest? As we continue to design devices that are meant to outsmart our own selves, connecting them to the Internet and to our phones, how will our own awareness change in tune with the very things we wish to not think about so much anymore? To me, it’s the “brain” behind the Nest is the thing that is most interesting, and I’m curious how we might think of collecting the design story beyond the attractive “thing” on the wall.